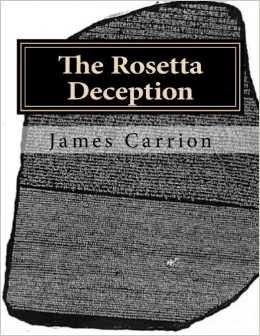 The Rosetta Deception documents how the US and the UK used strategic deception to fire the opening shots of the Cold War against the Soviet Union. The deception had two major goals in mind - the first was propaganda in nature, depicting the Soviet Union as the aggressor on both sides of the iron curtain that was descending upon Europe. The second was even more ambitious - to read the mind of Joseph Stalin by breaking the Soviet diplomatic code - thereby rivaling the greatest code breaking successes of WW2 when the UK broke the German Enigma code and the US the Japanese Purple Cipher. Strategic deception was used during WW2 by the United Kingdom and the United States to deceive the axis powers. The successes are well chronicled in excellent works such as The Deceivers: Allied Military Deception in the Second World War by Thaddeus Holt and Bodyguard of Lies: The Extraordinary True Story Behind D-Day by Anthony Cave Brown. The two major allied deception organizations were the London Controlling Section in the UK and Joint Security Control in the United States. Records from the US National Archives show that in the post war period, Joint Security Control continued its unique mission in peacetime, this time to defeat the new emerging threat, the Soviet Union. The London Controlling Section meanwhile changed its name to the Directorate of Plans in the post war period. The players on the US side include some well-known characters in Government circles - General Hoyt Vandenberg and Admiral Roscoe Hillenkoetter, both future Directors of Central Intelligence; General Omar Bradley of the Joint Chiefs of Staff, and Colonel Carter Clarke of the Army Security Agency. Some of the lesser know characters include Admiral Henry Kent Hewitt who commanded the Top Secret deception unit known as the Beach Jumpers during WW2 as well as General Clayton Bissell, General Stephen J. Chamberlin, General George C. McDonald, and Captain Henri H. Smith-Hutton all deception planners who were members of Joint Security Control.